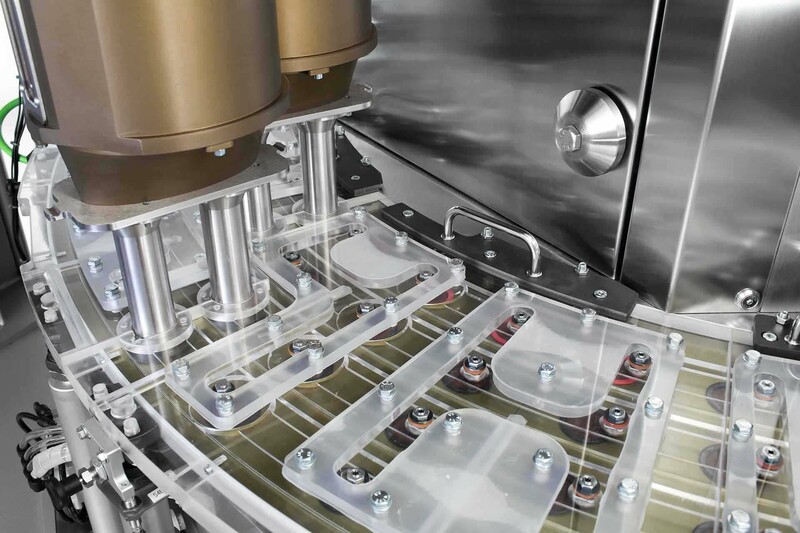 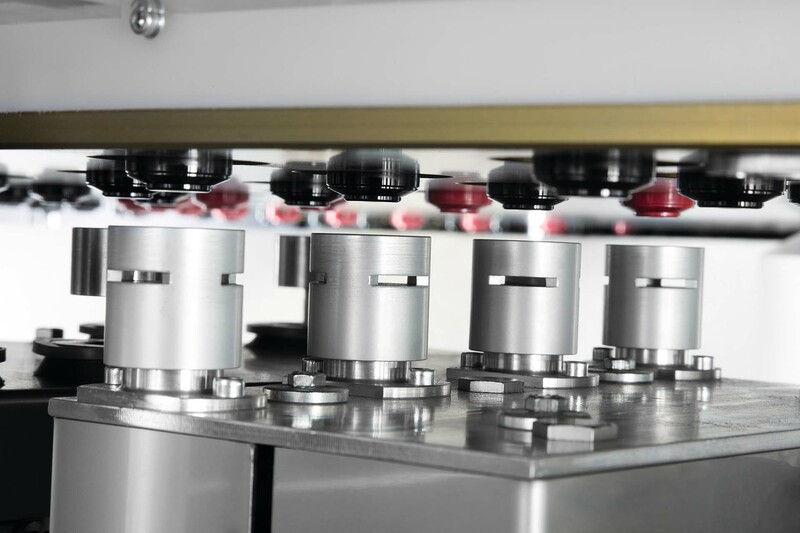 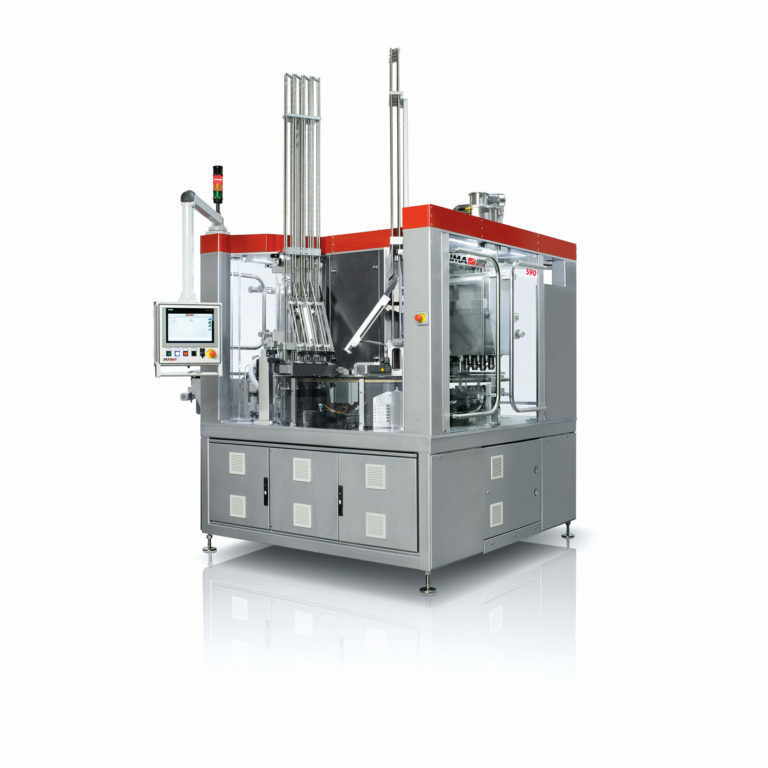 The 590 single serve capsule filling and sealing machine handles both injected and thermoformed capsules of different sizes, with easy changeover procedures and upgrade possibilities. 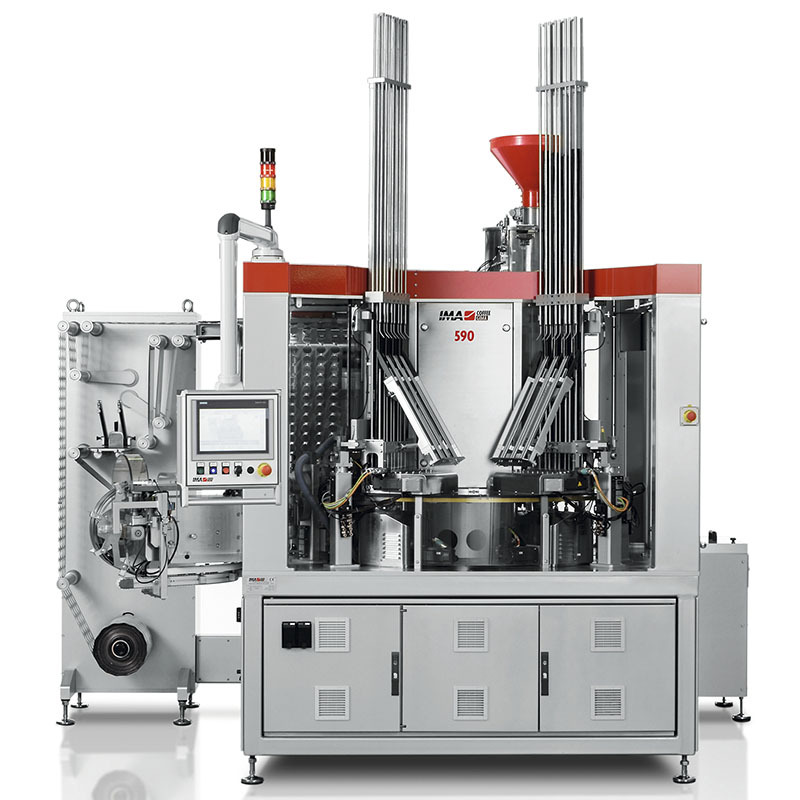 Precision dosing is performed by a set of servo-controlled augers combined with innovative gating systems. 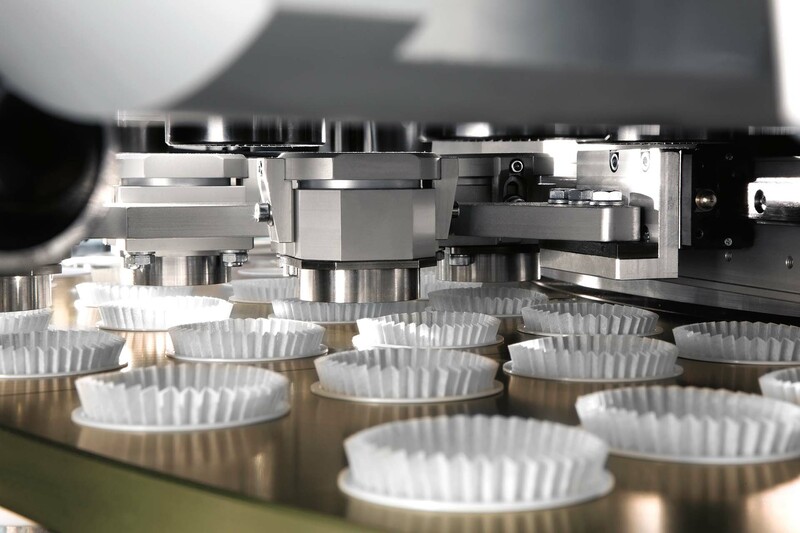 Thanks to extremely gentle product handling, the 590 is suited to a wide range of products to be filled (coffee with different densities, tea and soluble powders) as well as different types of material such as roll-stock and pre-cut lid. 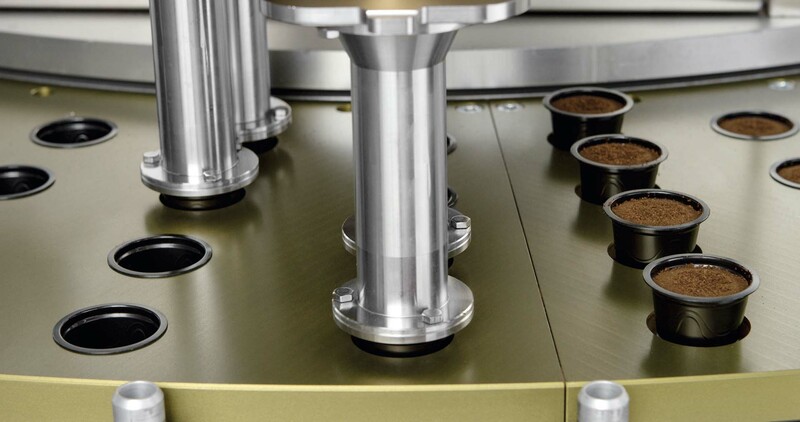 Two possible capsule configurations: espresso and drip coffee. 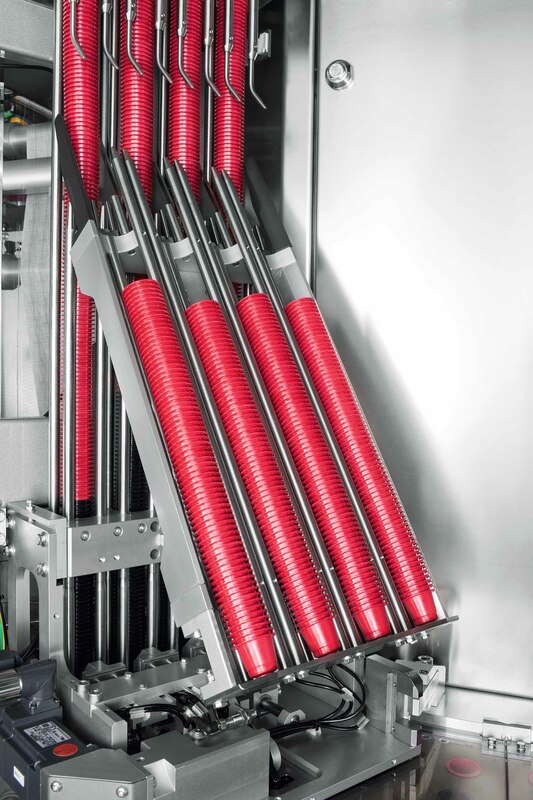 Can be speed upgraded on site from 2 to 4 lanes and can fit different capsule styles for maximum flexibility. 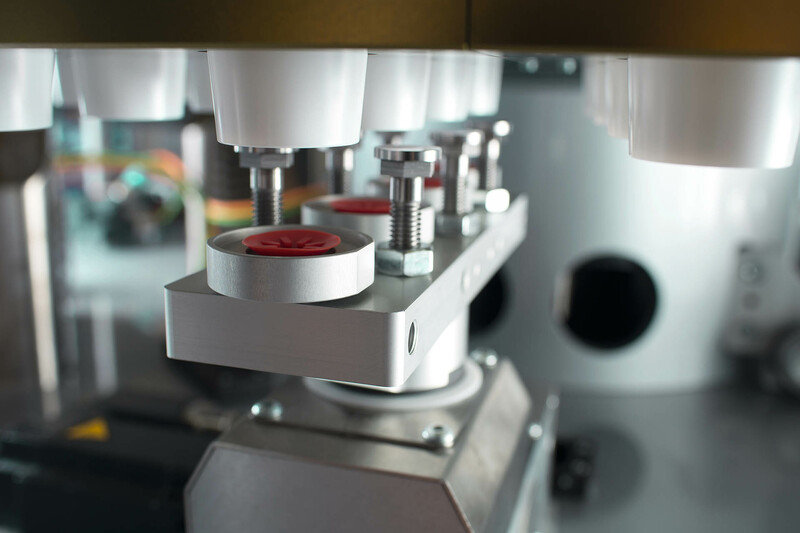 Easy product changeover, even between coffee and soluble powders. 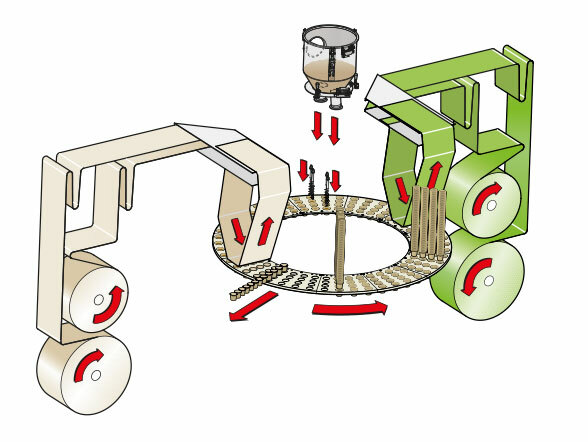 Can also handle self-protected capsules in a modified atmosphere (nitrogen). 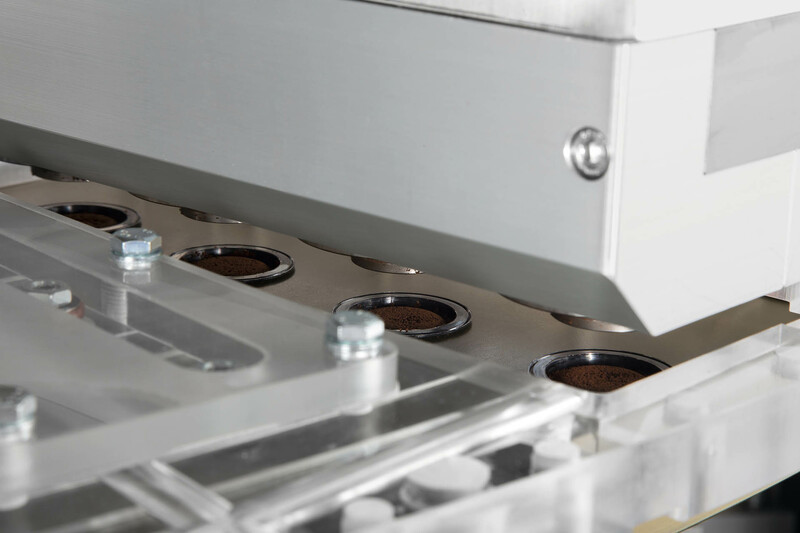 The 590 can be fitted with an aroma doser which dispenses drops of liquid flavours on top of the coffee inside the capsule, avoiding the risk of cross-contamination while producing flavoured product. 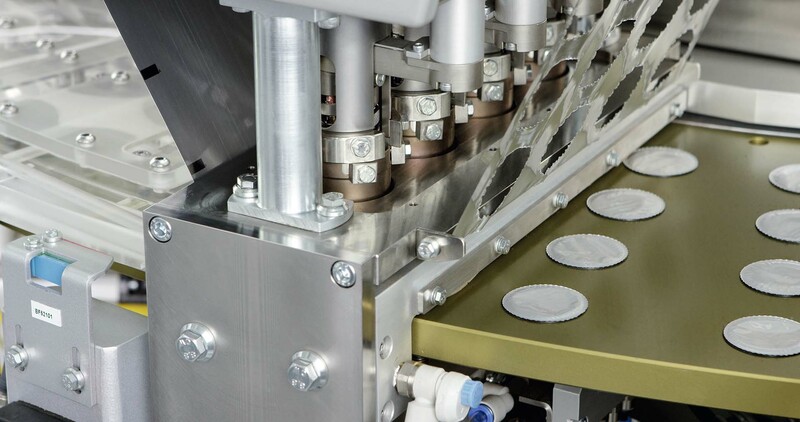 Can be configured for espresso capsules, both stackable and bulk, processed in a modified atmosphere, inserting plastic or paper filters and sealing different materials as top lid. Can be configured to pack drip coffee capsules with plastic inserts as well as a deep drawn pleated paper filter from roll-stock. 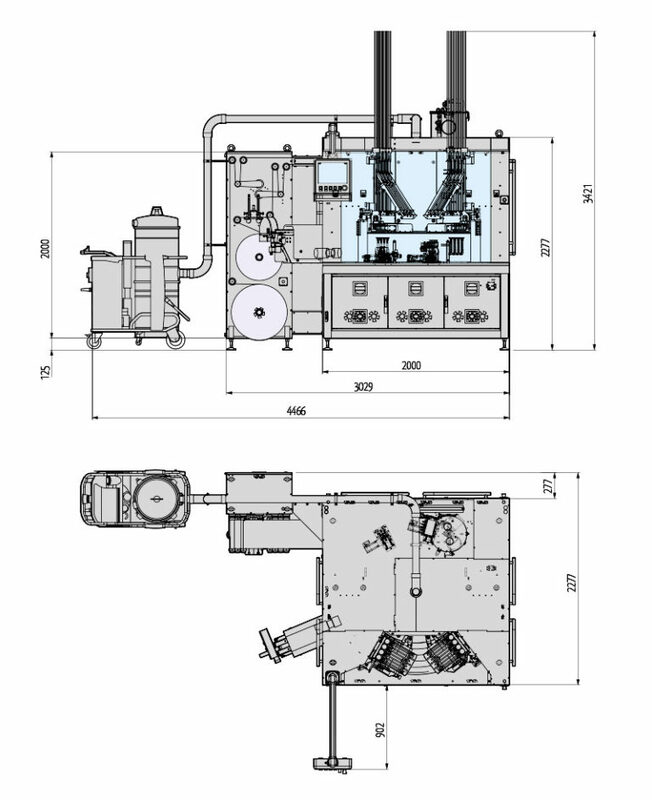 Expected compressed air consumption 1,000 nl/min.